Having worked on numerous projects for the past three years as a full-time aviator, I have developed a diverse array of experience in the commercial drone industry. Some of the highlights include: Leading a five-man ground team and conducting post-hurricane tower inspection operations after Hurricane Irma, numerous waterborne craft operations, large-scale mapping projects, aerial cinematography for a Georgia Power commercial, consulting and training of countless students as well as several large surveying and engineering firms in the D.C. metro area. I have assisted in data procurement for several ocean-based scientific studies as well as a traffic noise and light intrusion study project. I have also provided the interactive, panoramic campus photos for Georgia Southern University's website and construction project documentation for various companies. As lead pilot for a prominent aviation and consulting company I have devised the CrossFlight- Pilot Training and Education Plan (P.T.E.P.) for use in training and consulting as well as airspace authorization and operational waiver support for various clients. I have also developed a standardized radio and cell tower inspection program, which includes shot sheets, safety protocols and best practices. 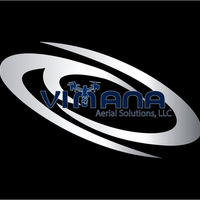 I have experience with a wide range of commercial sUAS platforms as well as unique applications of drone technology including thermography. My background consists of nine years in the USAF serving as a Joint Terminal Attack Controller (JTAC) with three combat tours conducting tactical airspace deconfliction and ground operations as well as three years in Law Enforcement.